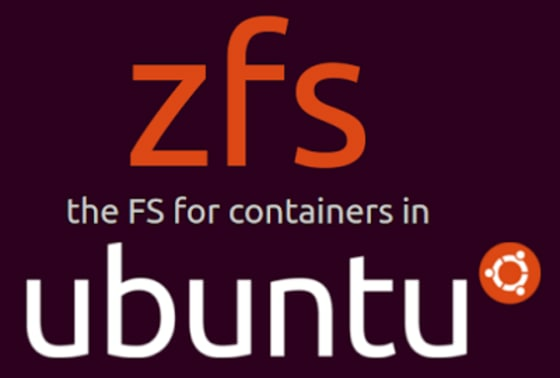 ZFS — baked directly into Ubuntu — supported by Canonical. ZFS is a combination of a volume manager (like LVM) and a filesystem (like ext4, xfs, or btrfs). These features truly make ZFS the perfect filesystem for containers. You’ll see the module loaded automatically if you use it. The user space zfsutils-linux package will be included in Ubuntu Main, with security updates provided by Canonical (as soon as this MIR is completed). As always, industry leading, enterprise class technical support is available from Canonical with Ubuntu Advantage services. It’s really quite simple! Here’s a few commands to get you up and running with ZFS and LXD in 60 seconds or less. First, make sure you’re running Ubuntu 16.04 (Xenial). Next, let’s use the interactive lxd init command to setup LXD and ZFS. In the example below, I’m simply using a sparse, loopback file for the ZFS pool. For best results (and what I use on my laptop and production servers), it’s best to use a raw SSD partition or device. We’ve written a short reference guide to help with getting started, and understanding the ZFS terminology. This touches the basics on setting up ZFS pools as well as creating and using ZFS file systems. If you are new to ZFS, I recommend having a look at the reference guide to get you started.